The Lady in the Tree continues straight on from book three Maya – Illusion. Lek is still in business with her old friend Ayr and they mean business as well, especially when rivals from nearby try to intimidate them. The two friends come up with a daring solution, which they can’t even discuss with their friends, family or husbands. Read the story of The Lady in the Tree to find out. 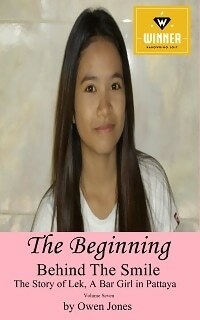 The Lady in the Tree can be read as a complete novel in its own right, but it is the fourth in the series called ‘Behind The Smile – The Story of Lek, a Bar Girl in Pattaya’.